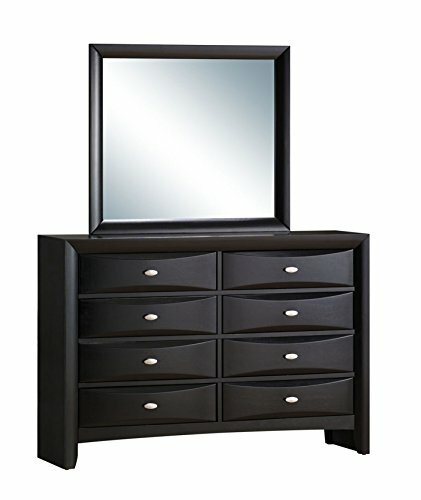 This stunning dresser and mirror combination is exactly what you need in your modern bedroom. The dresser has 8 drawers with chamfered arched fronts, giving you plenty of space to store your items in style. Silver toned hardware looks distinctive against the wood finish. The ebony finish looks especially sleek on the smooth and simple frame of the mirror above. These pieces will have a calming effect in your bedroom.